JAMSHED BHARUCHA is Professor of Psychology, Provost, and Senior Vice President, Tufts University. Prior to joining Tufts in 2002, he was John Wentworth Professor of Psychological and Brain Sciences at Dartmouth College; his tenure at Dartmouth included service as deputy provost and as dean of the faculty. His research has focused on the cognitive and neural basis of the perception of music, using perceptual experiments, neural net modeling, and functional magnetic resonance imaging (fMRI). 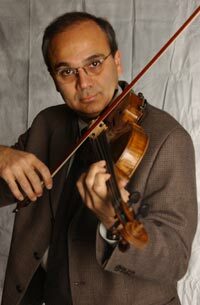 He is a respected innovator in advancing knowledge about music perception. He has served as editor of the interdisciplinary journal Music Perception, was a fellow at the Center for Advanced Study in the Behavioral Sciences in 1993-94, and was a trustee of Vassar College from 1991 to 1999, where he chaired the Trustee Budget and Finance Committee. He is currently a trustee of the International Foundation of Music Research. At Dartmouth he received the Huntington Teaching Award in 1989 and the Undergraduate Teaching Initiative Special Award in 2002.